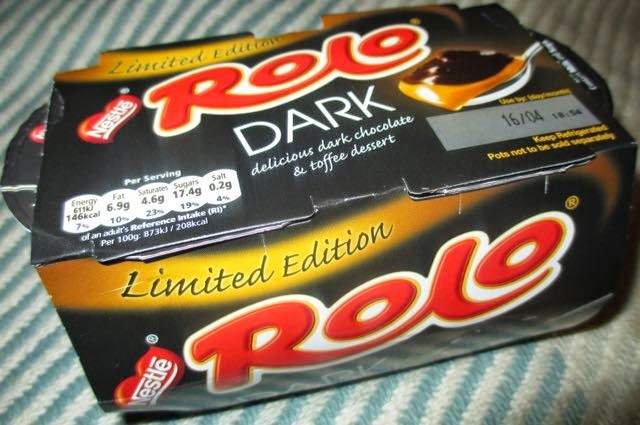 I was quite excited to see the new Rolos Dark last week, reviewed here. We don’t get a lot of new product from Rolo, it is a firmly established brand but not one we associate with new or limited editions. There is however a Rolo dessert, and now a new Dark Rolo Dessert! This makes me think that the Rolo Dark might be here to stay for a while, otherwise I don’t think they’d go to trouble of making this new parallel product. I like the regular Rolo desserts so I added these new ones to my Ocado order the moment I saw them online. Inside the pots are two layers, one is a caramel and one a dark chocolate. The caramel layer takes up the majority of the pot with chocolate making up what is effectively a topping. 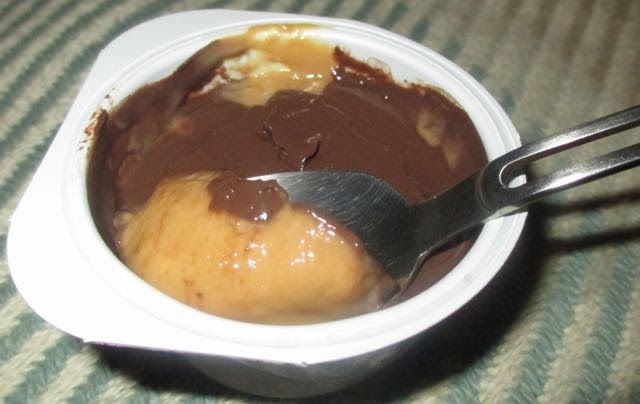 The caramel section is the same as used in the regular Rolo dessert. It is sweet with rich toffee tones, and very easy to eat. Both layers are smooth, not like a mousse, but they do feel pleasantly thick and silky. The chocolate topping is nice, although it looks darker the flavour wasn’t that much stronger than the regular edition in terms of cocoa. Maybe it was hard to tell, the caramel section does take up a large proportion. It was slightly stronger and that made the contrast in flavours better for me, but it wasn’t as dark as it could have been. Having said that I will buy these again as I enjoy Rolo desserts and they were very enjoyable. I miss the Rolo cookies, they tasted just like Munchies though so that's probably why they were discontinued.